1. 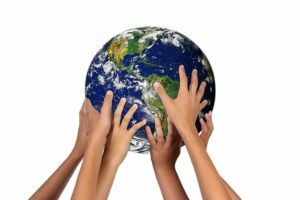 Your College or University that you will be attending should have their own international student group insurance. First contact the folks at the University that handle that. Keep in mind that these insurance plans only cover you while you are in their school system. Also, these school student insurance medical plans may not have overseas coverage that you might need, which includes (a) repatriation of remains and (b) medical evacuation. 2. Another option is to purchase one of our international student plans here at Good Neighbor Insurance. You may view these student insurance plans here at https://www.gninsurance.com/study-abroad-travel-insurance-students/non-us-citizens-studying-united-states-college-university/. These plans cover what the US. Federal government requires on a F1 visa and a lot more. They also cover medical evacuation and return of mortal remains as well as all your U.S. medical insurance needs. Plus, you are covered throughout the U.S. even when you are on school break. 3. You may purchase your own U.S. domestic insurance plan here in the U.S. via a local insurance broker in the state where you will be going to school. However, this option does not include medical evacuation and return of mortal remains. These insurance plans are for those only residing in the U.S. and thus have no international / outside the U.S. coverage. 4. Lastly, you may have an international medical plan that is provided in your country of residence. Keep in mind these plans have to cover what the F1 visa requires as well as the possible higher medical requirements set forth from your College / University here in the U.S. 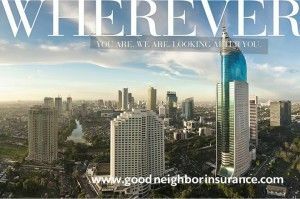 If you would like Good Neighbor insurance to provide you the best options please go here to https://www.gninsurance.com/students.asp. These insurance plans will not only cover your F1 visa requirements but also your schools requirements. Know what your requirements from your College / University are so you can match or exceed them. Blog Home > International Travel Insurance > Specialty coverage > Student insurance > Health insurance for international students in the U.S.